The first order in any business transaction is making a connection with the customer. Without this connection, it’s an uphill fight to introduce a product to a new customer – even something you know they would want. But make that connection and the rest of the process flows smoothly, gliding along on a river of trust. The effort to make a connection starts the minute I meet someone. I just relax and try to talk to them like I am talking to my best friend. 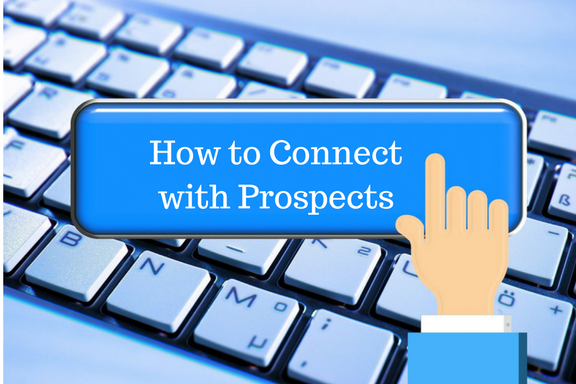 If you relax and just have a conversation with them, that’s one of your best sales tools. As a father of 8, I make a point of sharing personal information about myself and my family with whomever I am speaking to. This encourages the other person to also share information about themselves, further strengthening the growing connection. Listening is the key to making a connection – understanding their wants and needs. If you can’t make that connection then you can’t sell to them, because they won’t be listening to you. People want to do business with people they like and are comfortable with. Make a strong connection, and people will want to hear about the options you can offer them because they believe in you, and they believe you are there to help. Sometimes, when it is difficult to make the connection, I find some way to hit the reset button on the proceedings. This could mean changing the location of the meetings, or conducting business over a meal or a coffee. A lot of people will respond to that. If they don’t, it’s probably time to concede that you will not be able to accomplish your goals during that particular session. Rather than give up on the customer, though, you should look for other, more promising times to restart the conversation. You really need to be able to read people. If I am defensive, they are not going to listen to me no matter what I say. If it is not the right time for someone, you are not going to sell to them. You have to realize this and maybe step back. While most jobs involve some kind of sales work, most people are not particularly good at selling themselves or their products. I believe 50% of the people who work in sales shouldn’t be in sales, they don’t have the skills, no matter what the products or services. Sales can be taught, though. It might be more difficult if you don’t have the personality, but I believe anything can be taught if you are interested in learning. As a corporate sales consultant, trainer and coach, I’m also an entrepreneur and sales professional with over 20 years of successful sales and sales management experience. My expertise in sales, marketing and business development spans from small business to international companies. I’m the best-selling author of The Sales Assassin: Master Your Black Belt in Sales, winner of the 2015 USA Book News business book award for entrepreneurs and small business, and a 2016 finalist The Indie Book Awards. I provide personal sales coaching; and consult, speak and train about growing and motivating your sales team to businesses, corporations and conferences across the nation, as well as a guest contributor and sales expert for TV and radio, and professional organizations.